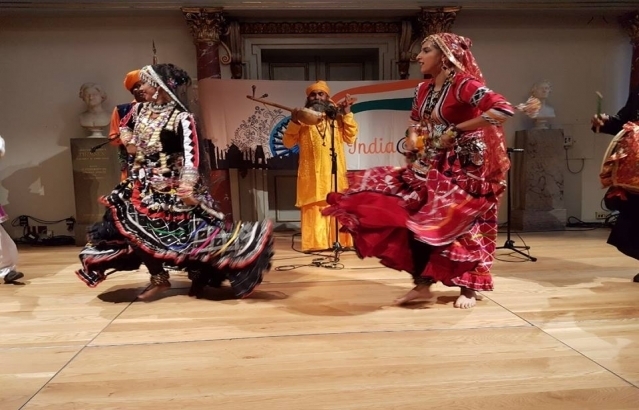 Embassy of India in Copenhagen organized a dance performance by Nomadic Caravan, a Folk Dance Group led by Mrs. Meenakshi Vinay Rai on 21st October, 2017 at the iconic National Museum as part of celebrations for India’s 70 years of independence. 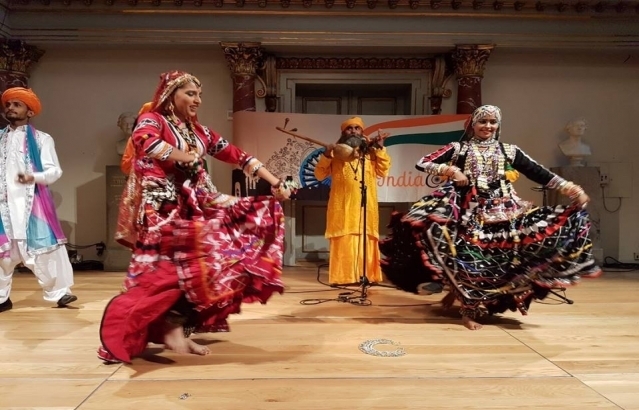 The event was attended by Ambassadors and members of the Diplomatic Corps in Denmark, prominent Danish nationals from different walks of life including artists and members of the Indian Community. 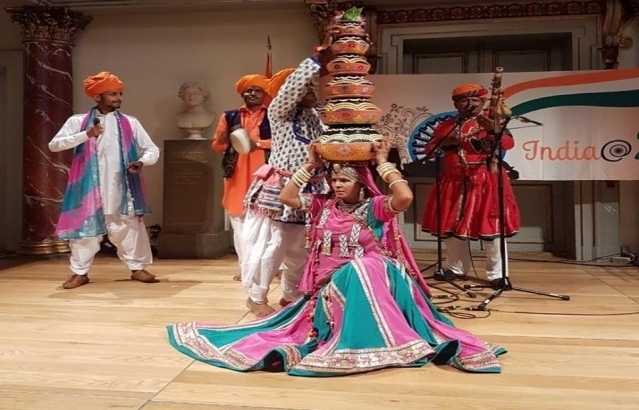 The 250 strong crowd was enthralled by the scintillating performances by the dance group, which showcased folk dances and songs of how folk tribes lived in the sustainable manner with nature. 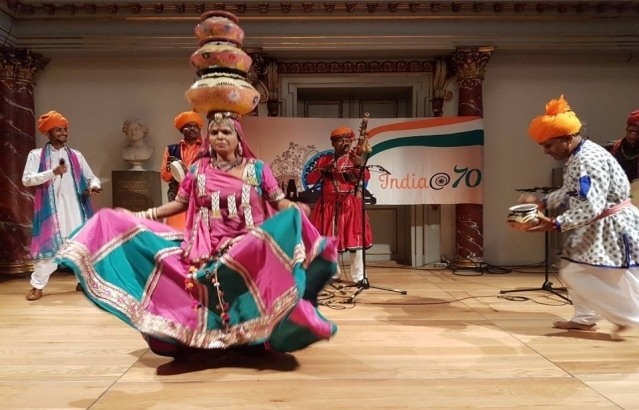 There were spectacular acrobatic shows and ‘jugalbandi’ or dialogue between traditional instruments.